On August 30, 2018, the Ministry of Health and Family welfare notified the first ‘Charter of Patient Rights’ (the ‘Draft Charter’) in the country which lays down the 17 basic rights of Patients1. Till now the various legal provisions related to patient’s rights were scattered across different statutes e.g. the Constitution of India, Indian Medical Council (Professional Conduct, Etiquette and Ethics) Regulations 2002, the Consumer Protection Act 1986, the Drugs and Cosmetic Act 1940, the Clinical Establishment Act 2010 etc. and other relevant rules / standards framed under each respectively apart from the various judgments given by various legal forums. This Draft Charter draws upon all relevant provisions, inspired by international charters and is guided by national level provisions, with the objective of consolidating these into a single document, thereby making them publicly known in a coherent manner. 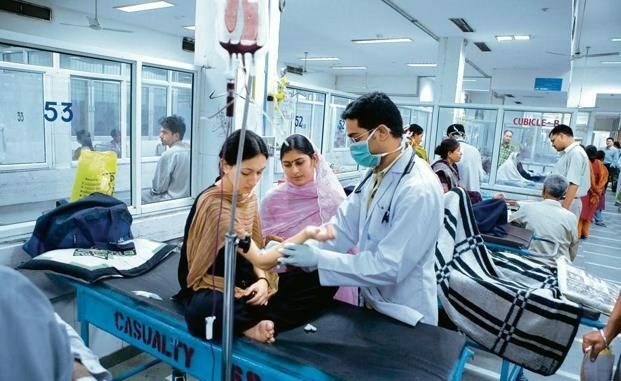 There is an expectation that this document will act as a guidance document for the Union and State Governments to formulate concrete mechanisms so that patient’s rights are given adequate protection and operational mechanisms can be set up to make these rights functional and enforceable by law. Another objective of this Draft Charter is to generate widespread public awareness and educate citizens regarding what they should expect from their governments and health care providers about the kind of treatment they deserve as patients and human beings, in health care settings. Patients should provide all required health related information to their doctor, so that diagnosis and treatment can be facilitated. Patients should cooperate with the doctor during examination, diagnostic tests and treatment, and should follow doctor’s advice, while keeping in view their right to participate in decision making related to treatment. Patients should follow all instructions regarding appointment time, cooperate with hospital staff and fellow patients, avoid creating disturbance to other patients, and maintain cleanliness in the hospital. Patients should respect the dignity of the doctor and other hospital staff as human beings and as professionals. Whatever the grievance may be, patient / caregivers should not resort to violence in any form and damage or destroy any property of the hospital or the service provider. Patients should take responsibility for their actions based on choices made regarding treatment options, and in case they refuse treatment. According to NHRC, the Government of India, all State Governments and administration of Union Territories, as a component of their existing or emerging regulatory frameworks for clinical establishments, should have a Patients’ rights grievance redressal mechanism for patients. Further, the grievance redressal mechanism should have these three levels of hierarchy: 1) Internal grievance redressal mechanism; 2) District level registering authority; and 3) State Council of Clinical Establishments under Clinical Establishment (Registration and Regulation) Act 2010 for managing relevant complaints. Apart from the above-mentioned grievance redressal mechanisms, patients/representatives would always be free to approach the State Medical Council to seek disciplinary action against unethical conduct of any specific doctor, and to seek redressal from consumer forums at various levels for financial compensation, or approach Civil/Criminal Courts keeping in view the nature of the complaint. Note – The Draft Charter is available at Health Ministry website and open for stakeholder comments. Once finalized, it will be circulated and prominently displayed at all hospitals, clinics, pharmacies etc. The charter is meant to generate widespread public awareness and educate citizens regarding what they should expect from their governments and health care providers, about the kind of treatment they deserve as patients and human beings.